The Virtual Paintout for November 2015 was Istanbul! I was happy to see that Bill Guffey chose this location for the month. 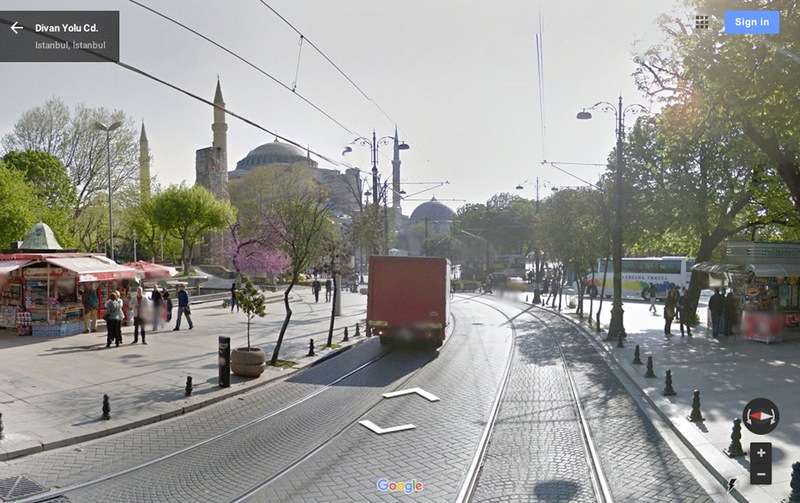 Over the years I've admired so many photos and paintings of the city. 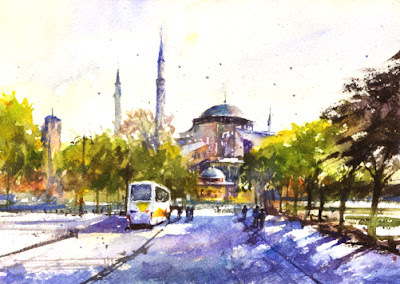 Keiko Tanabe has painted some stunning watercolors on site in Istanbul. Each month of course there isn't enough time to look around using Google Street View as I would like. 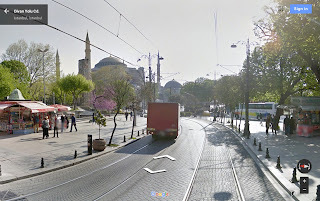 I wanted to see the Grand Bazaar, thinking maybe the Street View team got in there without a car, but no. 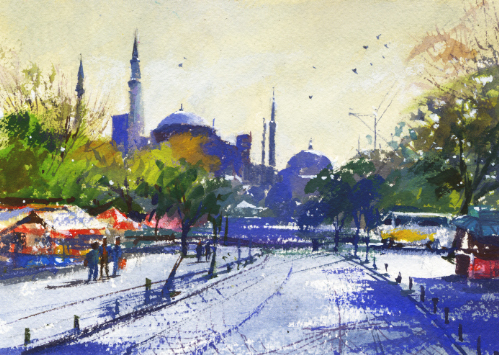 I found many other stunning views and chose to try a characteristic view of a mosque in watercolor and another in gouache. Sorry it's hard to get the proper colors online as they are on the artwork, especially for my gouache pieces. I find the Virtual Paintout to be good practice and always fun! 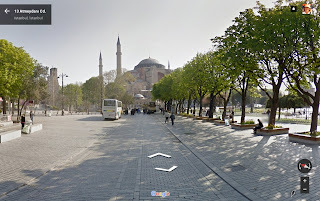 Happy Thanksgiving to everyone and a huge Thank You for visiting my blog and commenting. I really appreciate it! 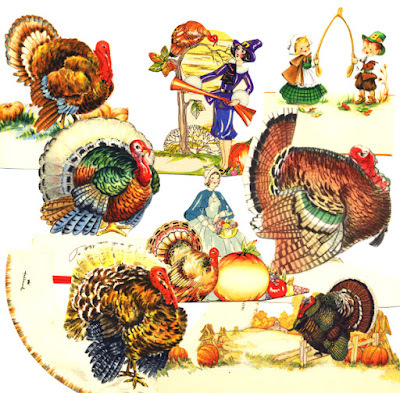 I'm sharing a few of my vintage Thanksgiving themed place cards. There are several older and newer Hallmark pieces as well as a few other makers. It must have been fun to host a Thanksgiving dinner or holiday bridge party and have special place cards for each guest. I wonder if anyone has time to do that in 2015! 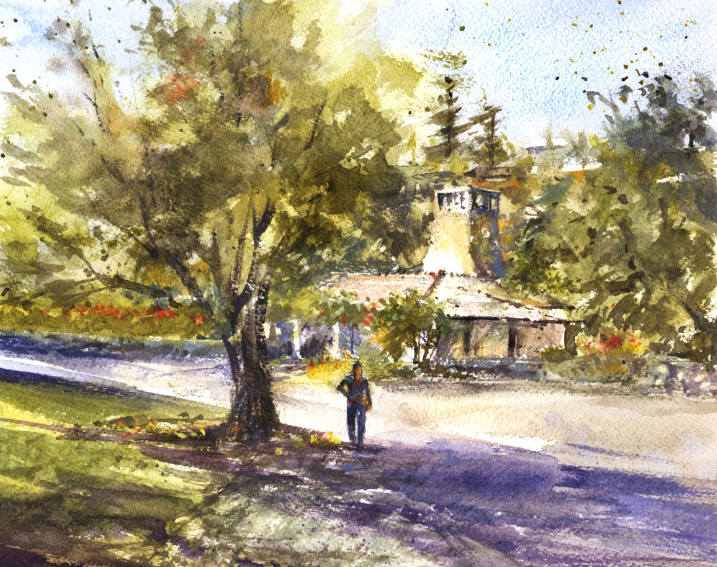 Our Friday paint-out group was at our local Arboretum yesterday. One of the artists had been there with another group and said the Australian Garden was especially beautiful now. So we changed the scheduled location to check out the Australian section. 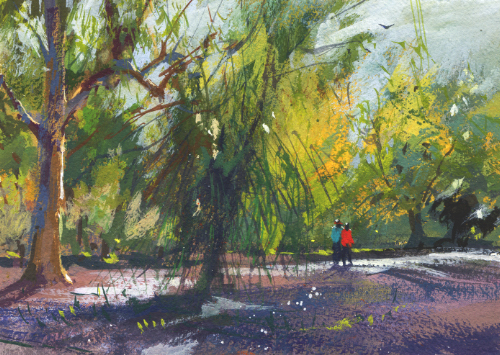 On my previous Arboretum visit I painted a Quick Gouache. After looking around for awhile at the wonderful collection of Australian trees and bushes I decided to try another quick gouache piece. It seems I've been painting more watercolors lately so I felt a little rusty with the gouache. Unfortunately I liked the backlit eucalyptus trees to the west. The sun kept getting lower so I must have moved out of the sun at least five times. That's how plein air painting goes sometimes. There were ants too! I like the way this piece turned out and really enjoyed a calm day among the trees, away from world news. I think I have more paintings from Arlington Garden in Pasadena than anywhere else. It's always a lovely spot to visit and is popular for paint-out groups of course. We were there last Saturday to paint and check out some new landscaping. I noticed quite a few changes in the beginning stages. It will be interesting to see how it all comes together in the spring. On my previous visit I painted Arlington Garden Neighbors. 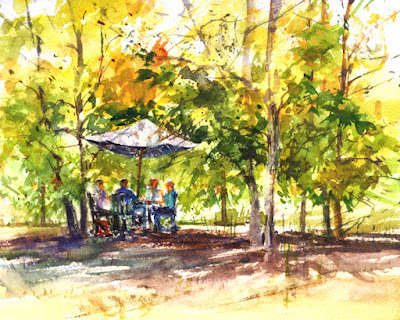 This time several of us were in the east side wildfower section so I chose a view to paint of a seating area surrounded by trees. Just as I was getting to the table and chairs, almost finished with the painting, four people came to sit there and have their lunch. Well, okay, I had to add them. I didn't even think of taking another photo of my view with the visitors. Wish I had! The paint-out group recently returned to the church a block from my house, Holy Family in South Pasadena. 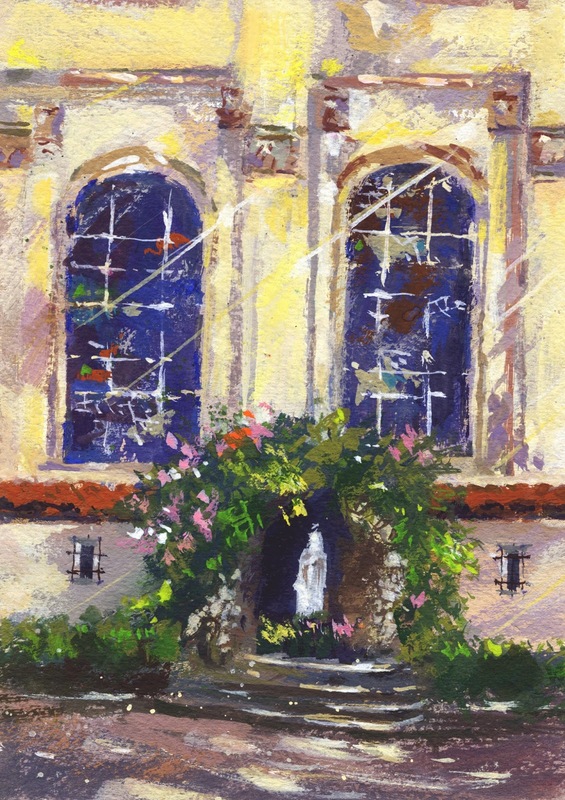 A few months ago I painted the 1928 Spanish Baroque building in Painting at the Church. Our paintings will be displayed in the bookstore sometime soon so we were back to paint another piece. I chose the south side of the church, with its stained glass windows, which is shaded by a huge, old fig tree. The grotto was draped with a blooming bougainvillea that caught my eye. I might try another view soon! I'm amazed how time flies. I would not have thought it was a year ago that I was last at La Casita Del Arroyo for a paint-out. Here's my post from last fall at the Pasadena location, Autumn at La Casita. I mentioned some the building's history in La Casita Del Arroyo. Finally we've been having some cold weather so it was a "brisk" morning for painting. Layers are the thing of course. The day turned out to be perfect for painting. I tried the small stone casita again, my view a little to the left of my last watercolor there. The dramatic chimney is the eye-catcher. I love paintings that show fellow plein air painters and I really should try to include them more often. In October the paint-out group was back at Deukmejian Wilderness Park in the La Crescenta north Glendale area. 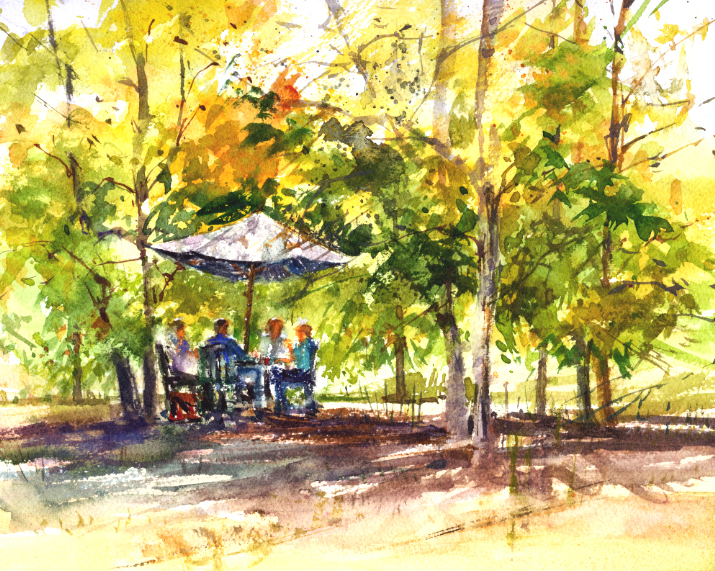 We've had some warm weather this fall but the morning we painted at the park was perfect. It's a beautiful setting, an old 1914 stone barn with a small vineyard on a hill. There was another group of plein air painters there too. 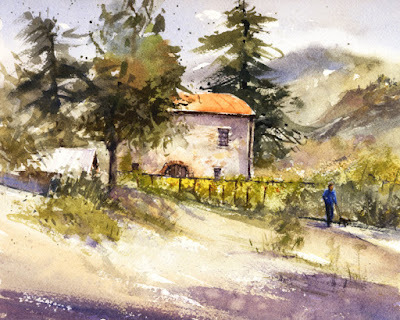 On my first visit two years ago I painted The Old Winery. The beautiful barn is irresistible so I tried it again. What a challenge it is trying to apply techniques I've learned in the workshops I've taken!